Growing up with a diabetic mother has made me more aware of the benefits of healthy eating. Seeing her suffer through many hospital visits triggered a desire in me to see her healthy. I began to encourage her to eat better and I changed the way I ate as well so that we could do it together. Me and my mother have become more health conscious over the years and we’ve both lost a lot of weight. 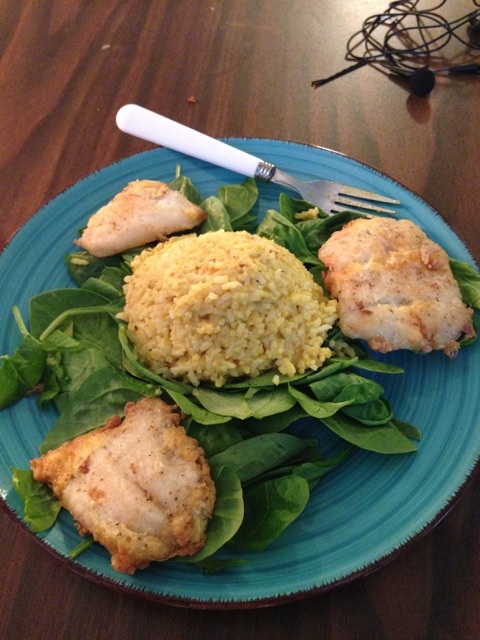 Check out the delicious and healthy meals I’ve been cooking up this summer! The chicken was slow cooked in a Crock pot with taco seasoning and water, then pulled apart when soft enough. The fish was sauteed on the stove top with olive oil and taco seasoning. 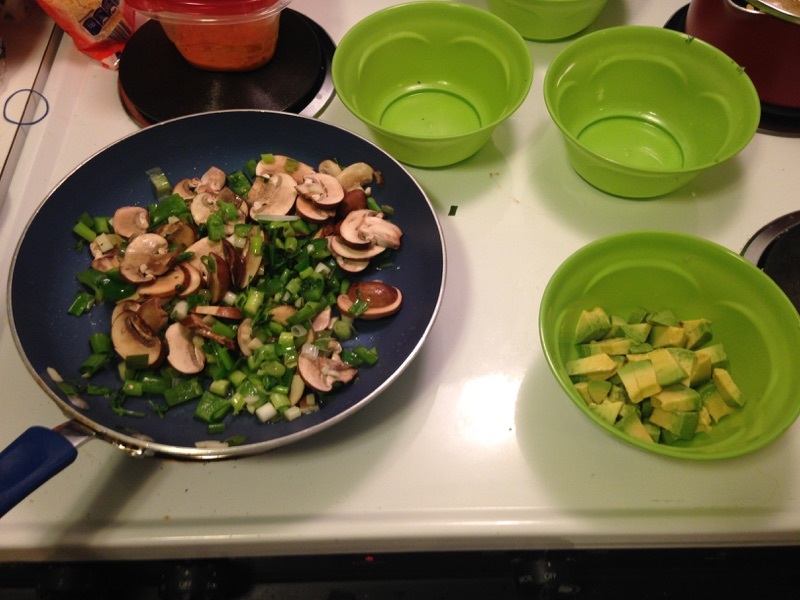 Taco toppings include: guacamole, tomatoes, shredded cheese, sour cream (optional), lettuce, and a mixture of sauteed onions, peppers, mushrooms, and cilantro. Okay so the fish was fried! But it doesn’t have to be, you can bake it, or cook it on the stove top! I cut a Swai fish fillet ( just 70 calories) into 3 pieces and dipped them in egg before I fried it. I added some fresh spinach (no salad dressing) and about 1/2 cup of curry seasoned rice. The lettuce taco contains a sauteed mixture of green onions, mushrooms, cilantro, green peppers, and fresh garlic. Split peas and avocado chunks were added to the mixture at the end of the cooking process. Romain lettuce leafs were filled, sprinkled with cheese, and dotted with spicy Sriracha sauce. This dish was my favorite and it’s good for cleaning out the body! Get creative in the kitchen tonight and try one of these healthy meals out! See you next time! God Bless and Happy Eating! Cute Back to School Supplies!